Hello to all of you in the wonderful world of cycling! On some of my latest posts both on this website and on my affiliate blog bartonhaynes.com, I’ve discussed the recent changes in weather (see Autumn Cycling | Barton Haynes). For those of you who are experiencing the cold shifts in the weather, this post is for you! Although I live in San Diego, there are days in the autumn when the air gets chillier. On these days, I ditch short-sleeved apparel and go for my long-sleeved cycling jerseys. 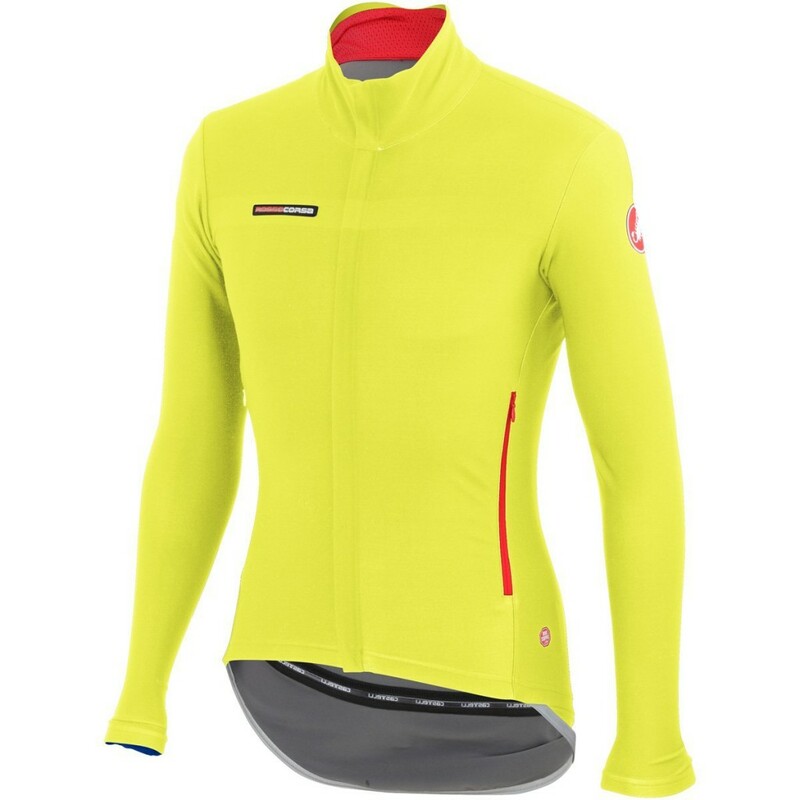 Following the theme you’ll spot on my page Bicycle Parts/Accessories, I’ll continue with the trend of the number ‘5’ to write a post featuring 5 long-sleeved cycling jerseys that I deem quality and appropriate for the coming cold. 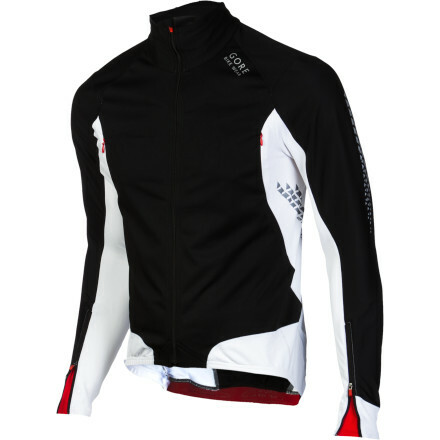 The Castelli Gabba 2 Jersey is an ideal jersey for cold winter temperatures. With a <1 cfm windproof rating, the Gabba 2 jersey is basically impermeable to wind, keeping you toasts even on screaming downhills in the wintery chill. This is thanks to its polyester and Windstopper X-Lite fabric, which keeps nearly everything out, but allows just enough breathability to get rid of sweat and other moisture. This jersey has a nearly legendary reputation amongst professional cyclists, and many have been known to wear versions of it secretly, even while sponsored by other companies. This is because the Gabba 2 is just that good in protecting you in cold temperatures. With a CFM (cubic feet per minute of air allowed in) rating of less than 1, the Gabba 2 is literally classified as windproof, and you won’t find many other jersey that boast such an impressive rating. 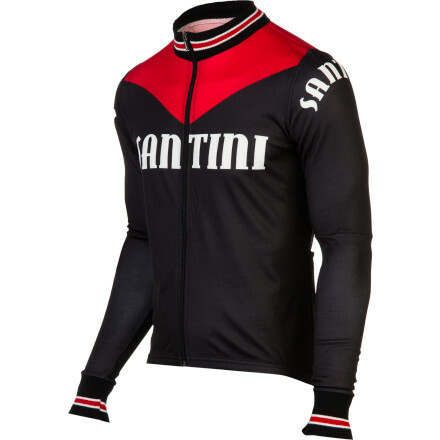 Another great option for cold temperatures is the Santini Tech Wool Long-Sleeve Jersey. While many companies brag about their new high-tech synthetic fabrics, Santini has turned the clock back with this excellent jersey from their aptly-titled Heritage Collection. Wool has long been a premier fabric for warmth, and the Tech Wool Jersey makes good use of this. Wool is also naturally antimicrobial, and ensures that you won’t smell horrible during your winter rides. This finely designed wool jersey is also able to absorb 30 percent of its weight in moisture before giving you the sensation that it’s even moist, making it a fantastic choice for rain, snow, sleet, and yes, sweaty conditions. 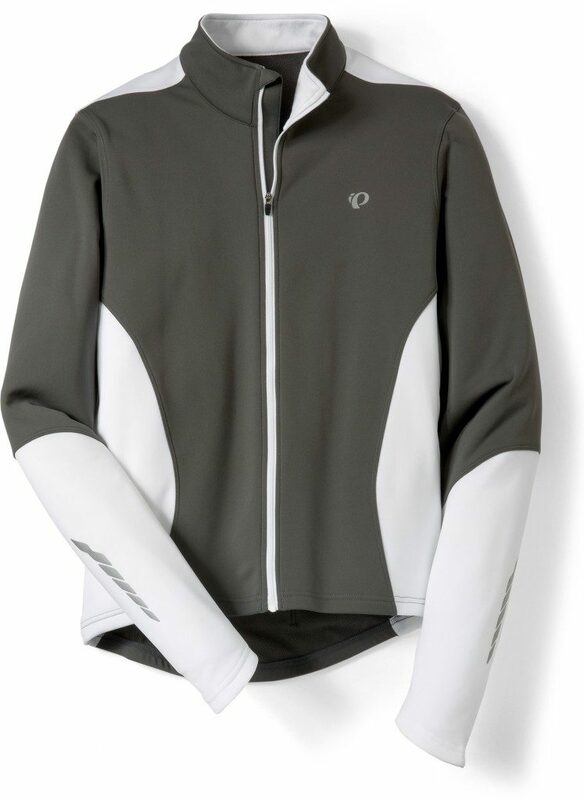 At a cheaper price point than the other jackets at this list is the Pearl Izumi Select Thermal Long-Sleeve Jersey. 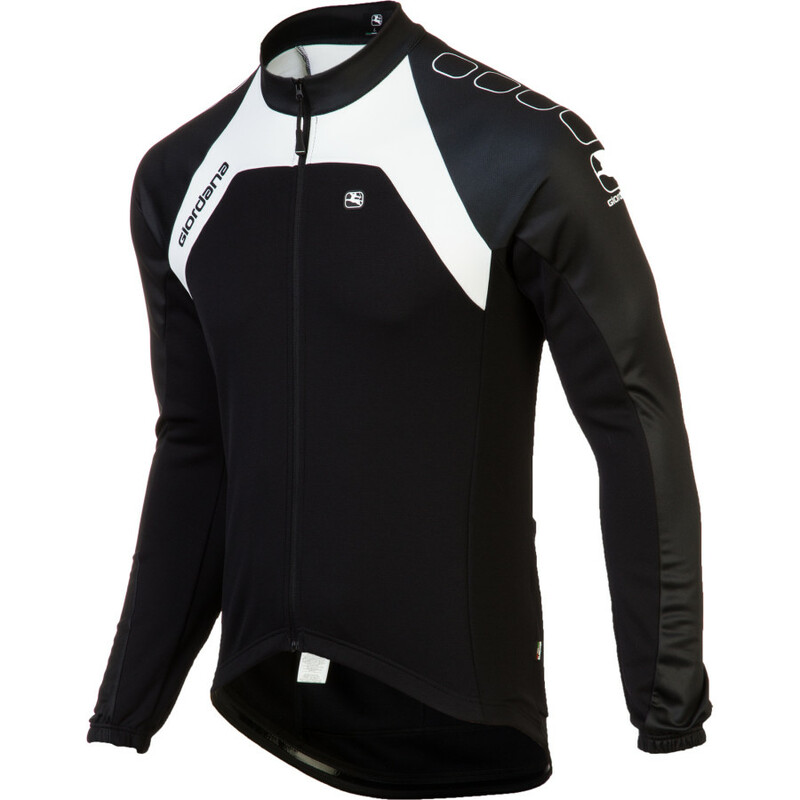 This Jersey looks more like a jacket than any of the competitors, as it’s geared more towards amateur cyclists than professionals, but if style isn’t your biggest concern, it is still an excellent cold weather jersey. Pearl Izumi’s select thermal fabric ensures that you stay warm on the coldest days, and also offers excellent wicking technology so that you don’t get frozen by sweat during your rides. With additional, reflective technology includes, the jersey is also adept at absorbing heat on days when every bit of sunlight counts. Another incredible long-sleeve jersey is the Gore Bike Wear Xenon 2.0 SO. Like the Castelli Gabba 2, the Xenon 2.0 SO is literally rated as windproof, with a cfm rating under 1. The Gore Bike Wear Xenon 2.0 SO also features several stretch inserts, providing you with plenty of mobility and flexibility while riding. Despite its windproof design, the Xenon 2.0 SO also boasts impressive breathability and ventilation, making it perfect for a ride in fluctuating weather – a common phenomenon during unpredictable winter riding. A cheaper option than the Gabba 2, the Xenon 2.0 SO features much of the same technology, even if it’s a less recognizable name amongst professionals. And did we mention it comes at a cheaper price than the Gabba 2? Because it does.